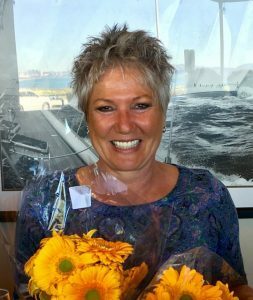 Peta Sanderson Faux Painting, Murals and Restoration serves the specialty painting needs of discerning clients all over the San Francisco Bay Area. Peta has, since the early 1990’s, worked with local and internationally acclaimed Interior Designers and Architects on both residential and commercial projects. She will be happy to show you what she can do for you – from Trompe l’oeil and murals to woodgraining, antiquing and gilding. Please browse her portfolio for other specialty finishes and custom design ideas, then contact her for a free estimate and quote. Peta Sanderson Murals, Faux Painting and Restoration is a Marin based, Bay Area company. I specialize in all aspects of Interior and Exterior decorative painting. My Creative skills include Murals, Trompe-L’oeil, Color Glazing and Wall Washing, Gilding, Venetian Plaster, Marbleizing, Woodgraining, Stenciling, Friezes, Antiquing, Distressing Etc. On-site color mixing and matching is my specialty, as is touching up damage to many surfaces. 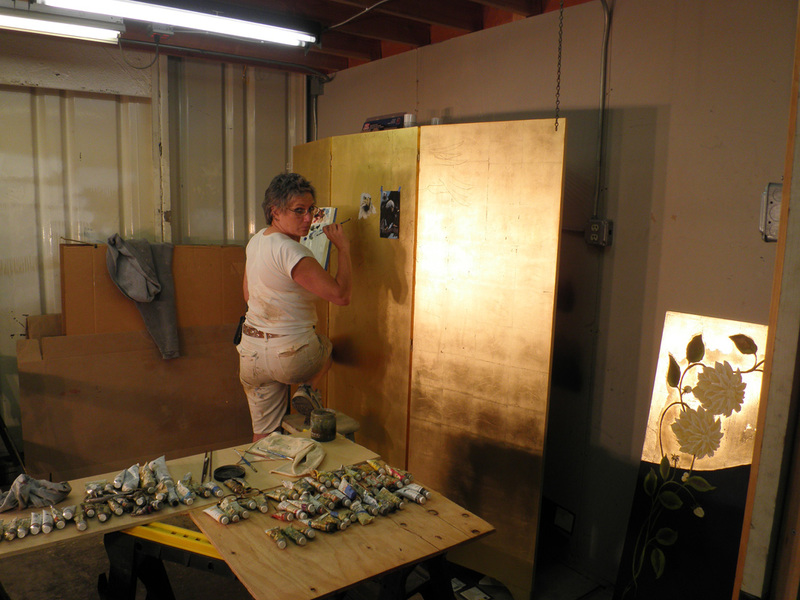 I have over 25 years experience in faux finishing, 8 years of formal art training and have been serving the San Francisco Bay Area and beyond since 1990. I am a disciplined Artist and a good listener, with strength in the understanding of composition, color theory and design. I strive to create, enrich and embellish, the goal being to give the client the highest quality finish possible in whatever form, style, or budget. Peta Sanderson Murals, Faux Painting and Restoration is Marin County/San Francisco based, but as a seasoned traveler I am happy to travel anywhere for your project – Northern California and beyond. I have collaborated with many local Bay Area, national and internationally acclaimed Designers and Architects, on many residential and commercial projects. I work just as well with builders, painting contractors and/or directly with home owners. Please call or email me for questions, samples, portfolio, advice and/or pricing. Also ‘Decorative Style’ by Kevin Mc Cloud, published by SIMON AND SCHUSTER. ‘Professional Painted Finishes’ by Ina Brosseau Marx, Allen Marx and Robert Marx, published by Witney Library of Design WATSON-GUPTILL PUBLICATIONS. Italian Plaster Techniques by Maureen Soens published by Sterling Publishing Co.Inc. The handbook of painted decoration by Yannik Guegan and Roger Le Puil. No matter what your location or time zone, Peta will address your queries within 48 hours. Feel free to contact Peta to discuss scheduling your faux painting, mural, restoration or other specialty finishes job. A 10% deposit and signed contract is all you need to start a project. Or please use this form for email contact. Since the early 1990’s, worked with local and internationally acclaimed Interior Designers and Architects and other Bay Area painting contractors on both residential and commercial projects. She will be happy to show you what she can do for you – from Trompe l’oeil and murals to woodgraining, antiquing and gilding.